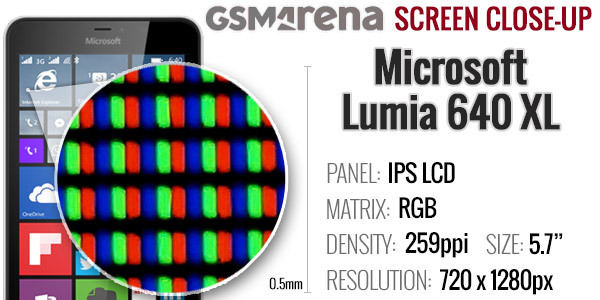 The Microsoft Lumia 640 XL packs a 5.7" ClearBlack IPS display of 720 resolution. The pixel density of 259ppi provides reasonable sharpness and the image quality is good. Colors are very punchy and viewing angles are decent. Although we found the blacks and pixel density of the Lumia 640 XL to be only average, we should note that the contrast is very good and the screen is brightness at 100% is great. The smartphone did excellent in our sunlight legibility test, meaning you'll have no problem seeing what's on the screen when taking it outside, even in the brightest sunny days. Microsoft has supplied the Lumia 640 XL will its proprietary Color Profile app that lets you tune the saturation and color balance to your liking. 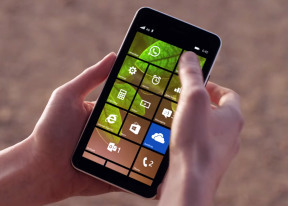 The Display settings also include a dedicated Brightness settings, where can tune the brightness levels for the three default profiles Windows Phone offers - Low, Medium and High. We found this particularly useful. Microsoft Lumia 640 XL Dual SIM is powered by a 3,000 mAh battery. According to the official stats it should be enough for about a day 3G talks and 39 days on stand-by. Naturally, we've ran it through our battery test and the results are in. Our battery tests include dedicated measurements for web browsing, calls, video playback. 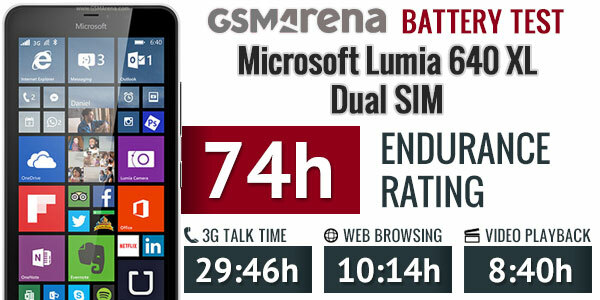 The Lumia 640 XL Dual SIM managed an overall rating of 74 hours, which means it will last three days if you do an hour each of watching videos, browsing the web and making calls each day. We also did our standby test with just one SIM card active, but oddly we found there is no change in the standby endurance and thus in the total endurance rating. The Lumia 640 XL has quad-band GSM/GPRS/EDGE support and quad-band 3G with HSDPA. The Dual SIM model, as ours, supports dual standby. You can also opt for an LTE-enabled version, as well as LTE Dual SIM model. NFC also plays nice with some cool accessories - like the JBL PowerUp speaker that automatically starts playing when you place the Lumia 640 XL on it.